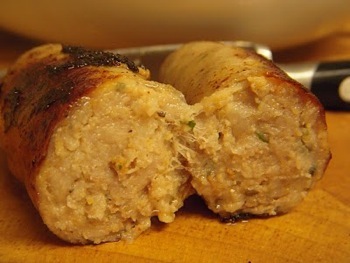 My friends over at Rate My Sausage have a good look at the Black Farmer Premium Pork Sausage in this review. Wilfred (The Black Farmer) is a really great bloke who has cleverly handled supermarkets so that his brand is not devalued by their normal purchasing practices. Not only is he a great bloke he is also enthusiastic about the market as a whole and how best he can support it. 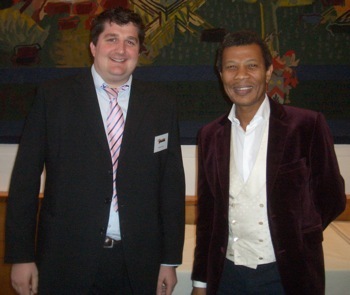 I met him most recently at the Champion of Champions competition where he gave a nice speech and presented the prizes. 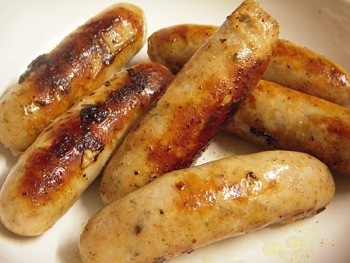 Over at RMS they seem to be impressed with Black Farmer sausages. I was delighted to read that they found them to be very meaty. They also do excellent gluten free options which seem to be a big hit. 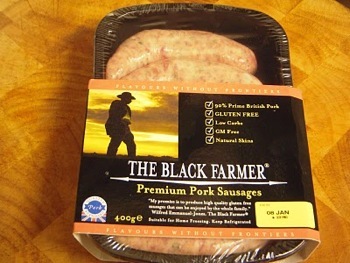 The Black Farmer sausages are a great example of a premium product available in the supermarket at a fair price for both the consumer and The Black Farmer himself. I’m looking forward to working with him in the future.